Three Buddhas, a Ford Lantern and a Chromolithograph! Curious about Booth Rentals? 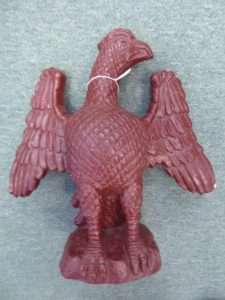 434-985-1944. And Don’t Forget…Refreshments on the Weekends – Smiles Every Day! 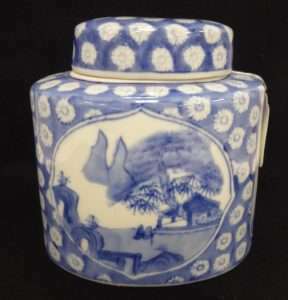 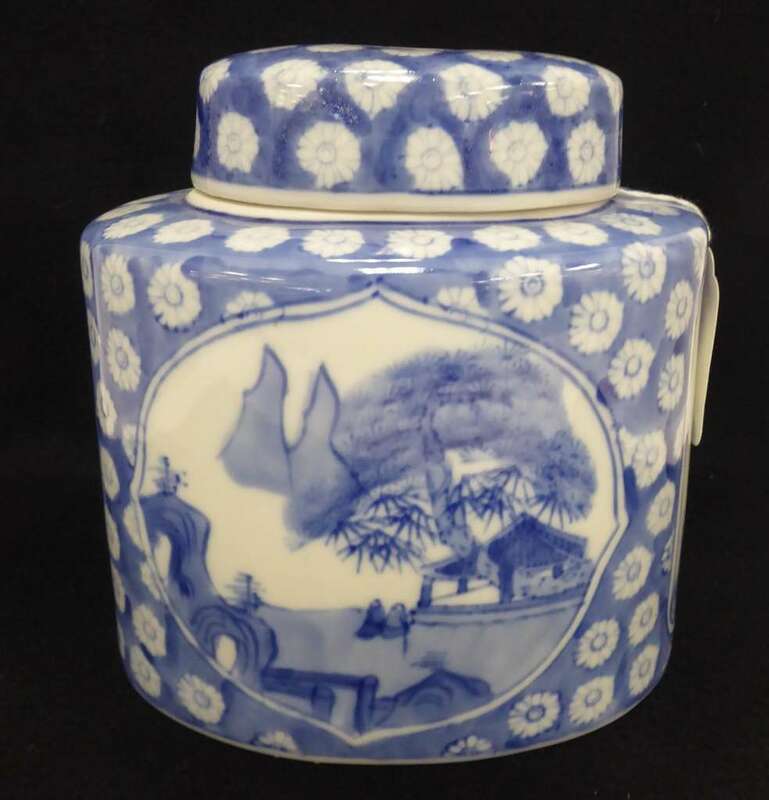 Oriental Canister w Lid – $125.00, Booth 411. 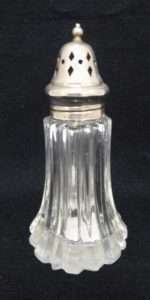 Sugar Shaker from Booth 411 – 1800’s, England – $35.00. 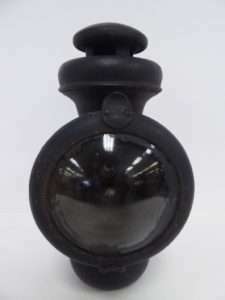 Model T Ford Kerosene Lamp, Booth 411 – $125.00. 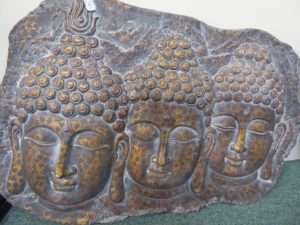 Three Buddhas – Ready to Hang, $45.00, Booth 416. 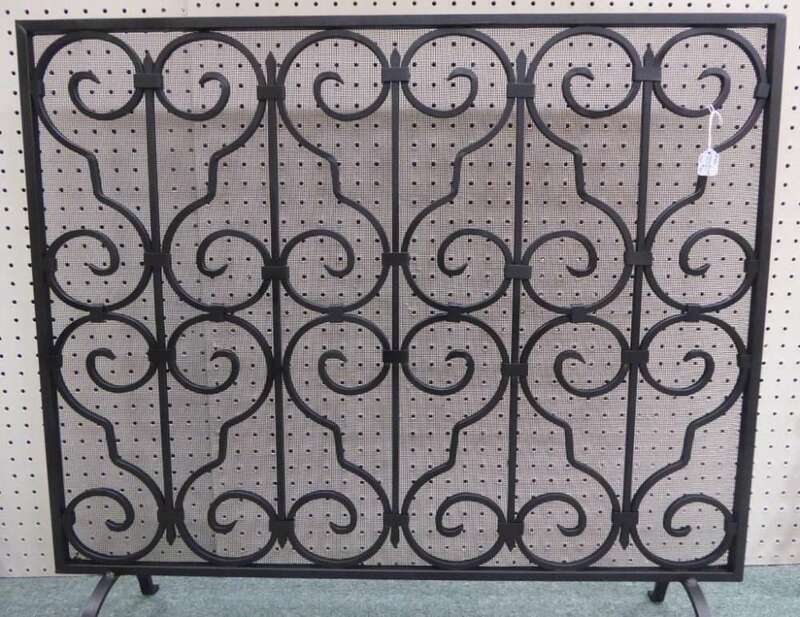 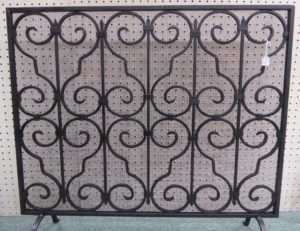 Iron Fireplace Screen from Booth 416, $99.00. 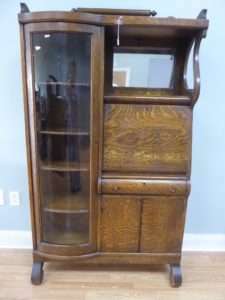 Side by Side Cupboard/Desk – $250.00, Booth 8. Schimmel Chalkware Eagle – Booth 406, $135.00. 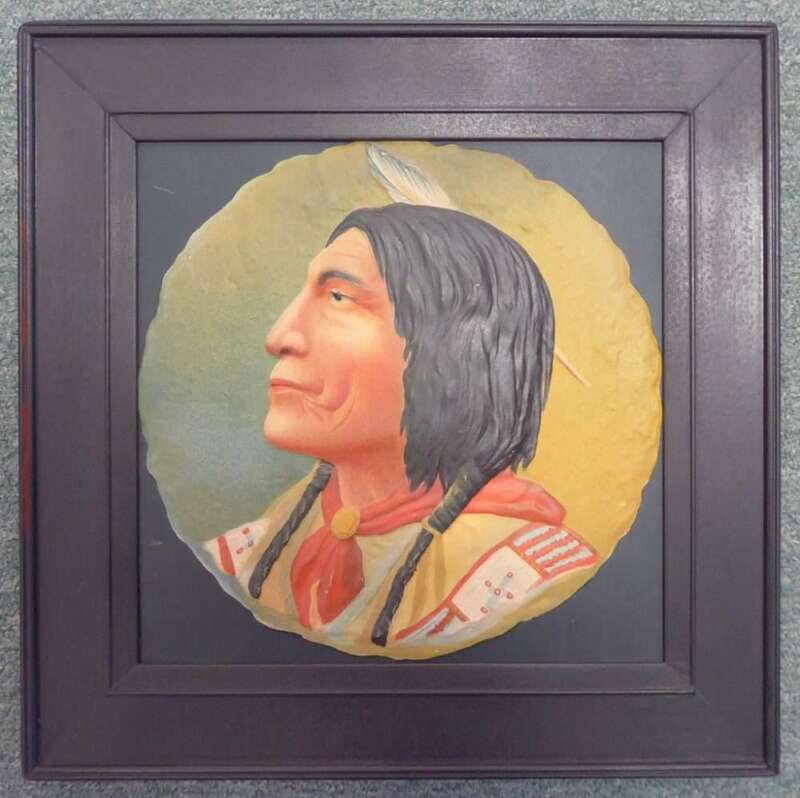 Signed Chromolithograph Indian Head – $195.00, Booth 406. 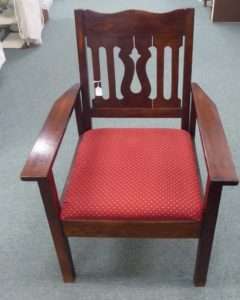 Dark Oak Arts and Crafts Chair – $225.00, Booth 62. 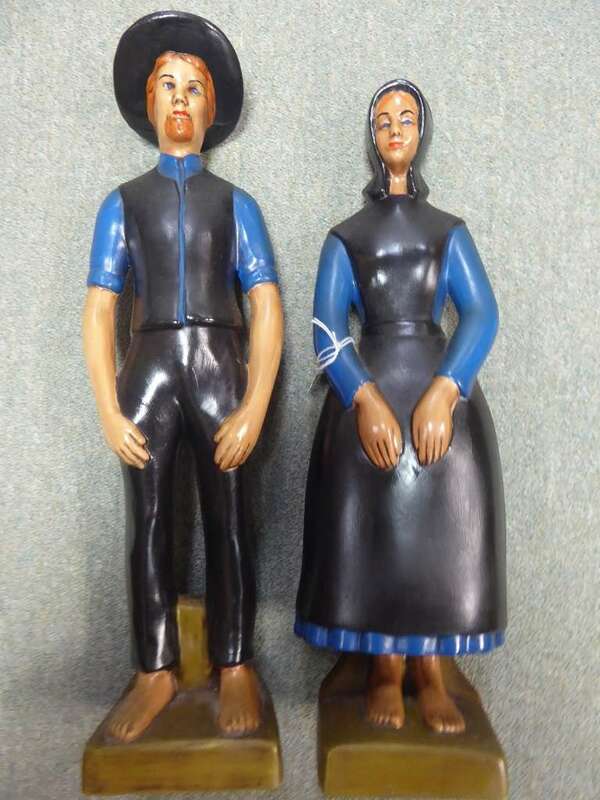 Pair Ceramic Amish Figurines, $38.00, Booth 314. 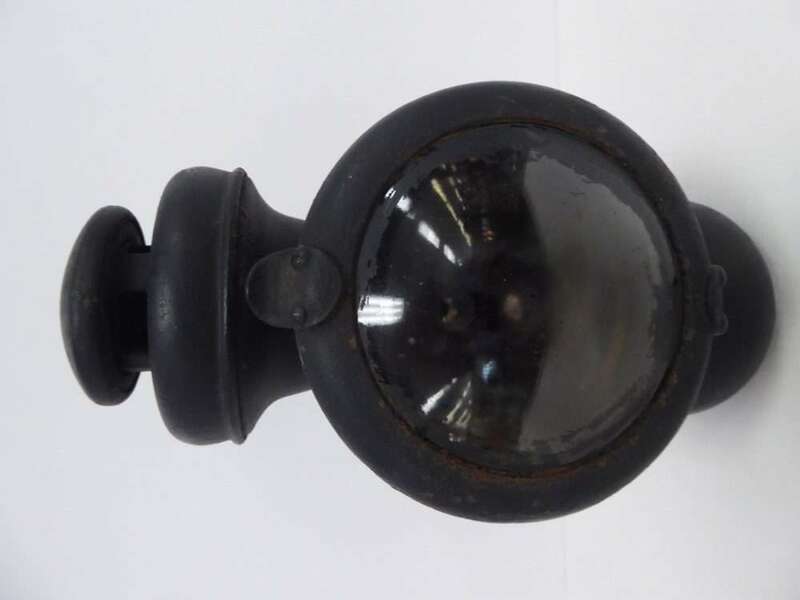 ‹ A Nelson County Clock, a Griswold Mold and a Face Jug!